Hey everyone! Welcome to a Monday edition of TCFOS. Man, that does not translate well into an acronym, does it? Welp, either way, you know it means it is time to (all together now) BUST! SOME! WAX! Come on, are you feeling it? What if I told you that tonight we have a chance to pull a Derek Jeter autographed rookie card? Yeah, I'm not holding my breath either. 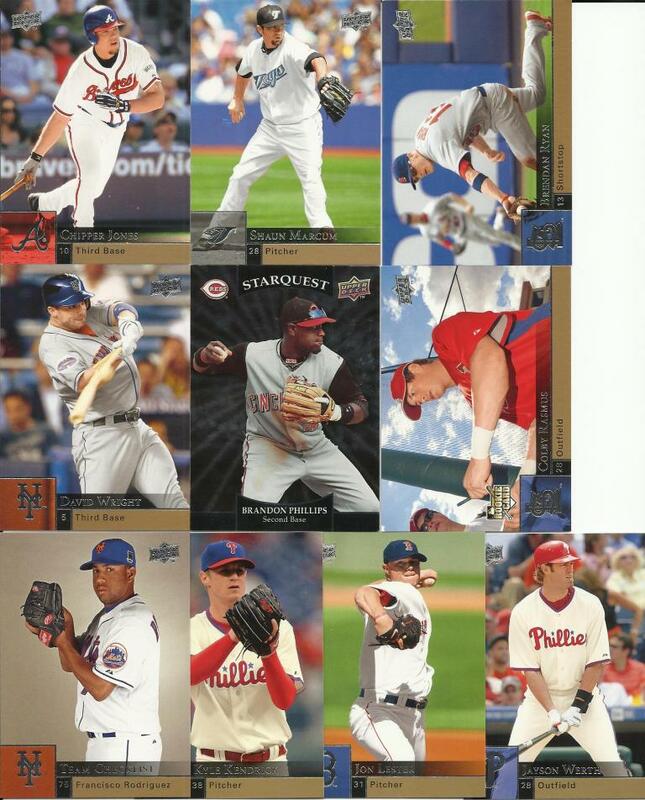 2009 Upper Deck Series 2. 18 cards per pack. Hey, we managed to hand out one more player than free agent! That's better than .500 at least, right? The Silver Starquest is a very cool-looking card. David Wright is not keeping his eye on the ball. How would you like to be the guy on Rasmus' card? 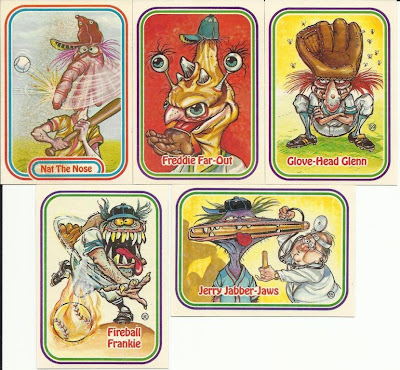 You'd have your face on a baseball card forever by proxy. Can't complain there! Okay, let's do another pack. I'm having fun here! Let's do a pack of Awesome All-Stars. Why not? You know, I think we could pull together a group of bloggers and come up with our own goofy cards like these. We could do a 99 card set with a checklist. Anyone else getting the "Bob the Builder" theme in their heads yet? I still can't get over how ugly those Awesome All-Stars cards are.